The DigiCase Mount will allow you to mount your DigiCase, SKB 3i-2011-7b or SKB 3i-1813-5b, to just about any stand or tripod. The DigiCase Mount is made from aircraft grade 6061 aluminum which is both lightweight and extremely strong. The DigiCase Mount is secured to your case with 6 screws to ensure a tight and secure fit. 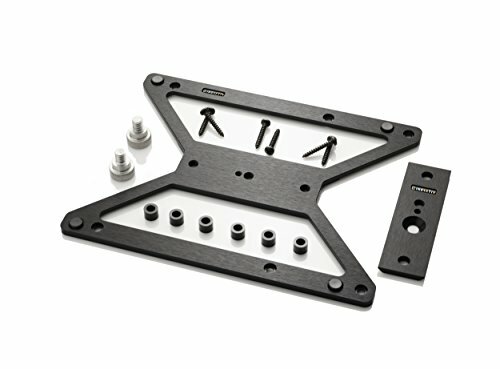 The wide footprint of the DigiCase Mount along with the 6 securing screws gives a sturdy and strong base for your case to eliminate slop and flexing. The easy-release plate is setup to accept our DigiBase baby-pin adapter, a wide variety of tripod plates or any other piece of grip equipment with a 1/4-20 or 3/8-16 thread.